Careers with Wings is a unique approach developed by President and Founder Marcy Morrison that provides you with the freedom to truly do what you love to do, what you are good at doing and combine that with how you can make the biggest impact with your role in making a difference in the world. Passion + Purpose = World Change (TM). With this formula at the core, you will wake up with energy and enthusiasm every day loving what you do knowing that you are making a difference. Marcy sees each person as a multi-faceted puzzle and when the pieces are put together and celebrated – the magic can happen – where people love what they do and can make the biggest impact – making not only their lives wonderful but those lives that they affect wonderful as well – that includes families, friends, communities and strangers. People are not meant to be put into a box but are meant to be celebrated for their uniqueness and their incredible gifts that they are meant to be shared with the world. 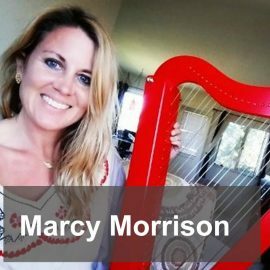 Marcy talks with Jason about what it means to find your true calling, how you can do it, and what it can lead to.